Of all the numbers that tell the story of Philadelphia today, one stands out as an unambiguous expression of confidence in the city’s future. Last year, developers received building permits for 2,815 units of new residential housing, the most approved in a decade. Those units are worth an estimated $465 million, the highest annual amount on record. 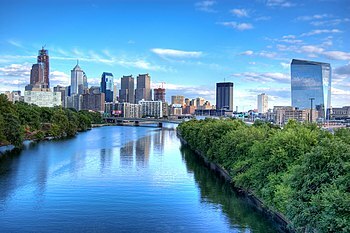 Investors appear to be betting that Philadelphia’s population, which rose for the seventh straight year in 2013 to 1,553,165, will keep growing and that many of the new residents, young and old, will be looking for new homes and apartments. There is some demographic evidence to support this expectation. In recent years, the city has experienced rapid growth in its population of young adults, many of them well-educated and upwardly mobile. In addition, an increasing number of aging baby boomers are leaving the suburbs and moving into the city. And the middle-class population appears to have stabilized after decades of decline. If the latest U.S. Census Bureau data are any indication, the Delaware River is the great divider between growth and decline in this region’s population. More people are moving out of Warren and Hunterdon counties in New Jersey while more are moving into Northampton and Lehigh counties in Pennsylvania. The Census Bureau this morning released county-by-county population estimates for last year. 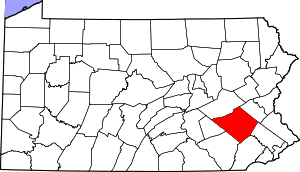 The data show both New Jersey counties lost population; both Pennsylvania counties gained population. This pattern has continued for three straight years, the data show. Births outpaced deaths in all four counties; the population changes are instead tied to people migrating to or emigrating out of the counties, according to the census. Philadelphia’s population rose again last year, albeit at a slower rate than the city’s growth over the past few years, according to Census data released today. The city’s population as of July 1, 2013, stood at an estimated 1,553,165 people, an increase of 4,518 residents, or 0.29 percent from the previous year. It marks the seventh consecutive year of growth for the city, according to the Census Bureau’s population estimates. So the turnaround continues, but not as dramatically. Philadelphia saw steep declines in the latter part of the 20th century as it continued to struggle with the loss of its industrial base. That trend continued into the new millennium. Indeed, the city’s population declined every year between 2000 and 2006, losing nearly 26,000 residents during the span. But since 2006, the city has added more than 64,000 people. The new census numbers, however, suggest that the population rise has slowed. Philadelphia added only about half as many residents in 2013 as it gained in 2011 and 2012. Between 2010 and 2012, the city’s population grew by more than 1.3 percent. Slow and steady wins the race: It works for the tortoise, and it seems to be working for Pittsburgh. The latest annual “Pittsburgh Today and Tomorrow” report by PittsburghTODAY found that Pittsburgh continues to make modest economic progress after years of decline. 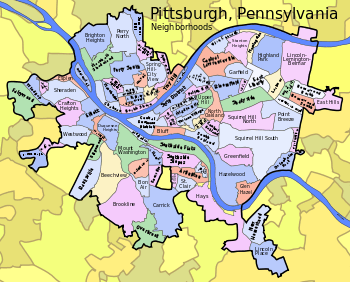 PittsburghTODAY is a nonprofit part of the University of Pittsburgh’s University Center for Social & Urban Research that tracks the region’s progress compared with 15 other areas of similar size, geographic and demographic makeups. Doug Hueck, program director for PittsburghTODAY, highlighted data regarding population growth, unemployment levels and housing appreciation rates as examples of the city’s revival. Harrisburg has lost a few residents since the beginning of the decade, according to new 2012 population estimates released Thursday from the U.S. Census Bureau. It’s hardly a mass exodus by any means, but Pennsylvania’s capital city has lost 249 residents since 2010, according to census estimates. In 2012, Harrisburg’s city population stood at 49,279, a decline of 0.5 percent. Harrisburg has faced no shortage of challenges. The city’s financial calamities have drawn national attention. Harrisburg’s debt has soared to $370 million, due to costly repairs to the city’s incinerator. The state-appointed receiver, Maj. Gen. William Lynch, is negotiating agreements to try and resolve the city’s financial crisis. A combination of births, deaths and migration added more than 2,000 residents to Berks County from 2010 to 2012. With a population of 413,491, Berks had the ninth-largest population of 67 counties in the state and is tied for 18th-highest growth rate at 0.5 percent. But statistics released this week by the U.S. Census Bureau also show that 3,044 more residents moved out of Berks than into it from elsewhere within the country. The only other counties that had more people move out to settle elsewhere in the country were Delaware, which lost 4,282, and Philadelphia, which lost 14,535. Here are some results from Census 2010 for Pennsylvania. Lancaster County is Pennsylvania’s sixth largest county with a population of 519,445 (increase). 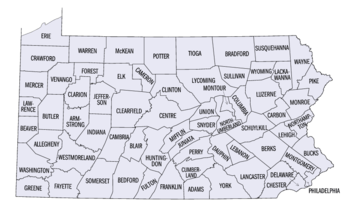 You will see 2010 census results for Pennsylvania municipalities now available. You can download a read only spreadsheet in alphabetical order by county, then by municipality name. Pennsylvania will lose another congressional seat. We will drop from 19 to 18 seats in the U.S. House of Representatives. Pennsylvania’s population increased; however, there are other states whose populations are increasing faster. Pennsylvania’s population grew by 3.4% between 2000 and 2010. The Commonwealth’s official population stands at 12,702,379. 421,000 new Pennsylvanians were added since the 2000 census. The national population growth rate is 9.7%. States with higher population growth tend to be pro-business states. Pennsylvania’s corporate tax is the highest in the nation at 9.9% which is a huge reason that is slowing down our growth!